Beginning and intermediate golf clinics at Howell Park Golf Course are available by calling 732-842-4000 ext.1.Tee times are available through the tee time reservation system after the purchase of a Monmouth County Resident ID card or a Non-Resident Reservation I.D. Card. Reserve a tee time online or call (732) 758-8383 to talk to a truly lovely person. Copyright © 2009 HowellParkGolfCourse.com. All rights reserved. DISCLAIMER: This website is provided “as is” without any representations or warranties, express or implied. 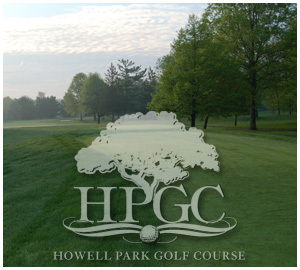 HowellParkGolfCourse.com makes no representations or warranties in relation to this website or the information and materials provided on this website. 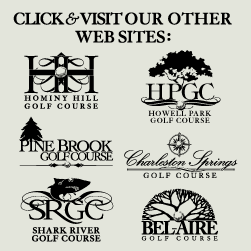 Without prejudice to the generality of the foregoing paragraph, HowellParkGolfCourse.com does not warrant that this website will be constantly available, or available at all; or that the information on this website is complete, true, accurate or non-misleading. Nothing on this website constitutes, or is meant to constitute, advice of any kind.